The British pair win 3000m gold and bronze at the European Indoor Championships. 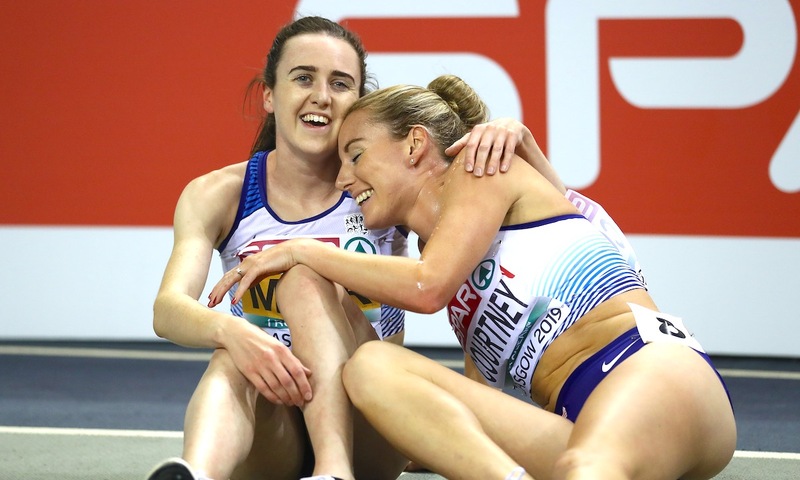 Laura Muir and Melissa Courtney finished first and third in the 3000m final at the European Indoor Championships in Glasgow on Friday (March 1). The British pair both raced excellently at the Emirates Arena to win gold and bronze medals against strong competition. 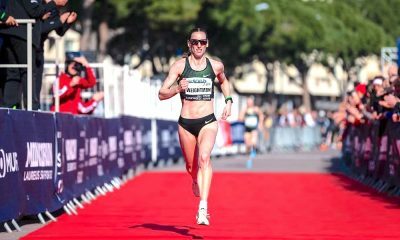 Going into the championships Muir was the returning champion and favourite to win the 3000m event, but in-form Konstanze Klosterhalfen of Germany had recently run a world lead for the distance of 8:32.47 in Leipzig in February. The German national indoor championship victory was a personal best for the 21 year old and obviously brought her to Glasgow brimming with confidence. 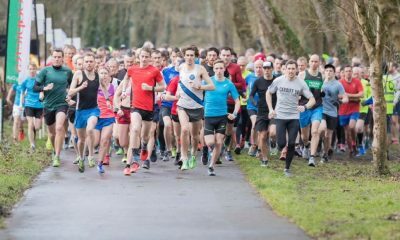 Klosterhalfen pushed on from halfway, after Eilish McColgan led the early stages, and only Muir could really answer the surge. Wales’ Courtney did brilliantly to hang onto the pair ahead. The Scottish favourite sat on the shoulder of the German and looked relaxed, even though she had only just earlier qualified from her 1500m heat for Sunday’s final. When the bell rang, the crowd roared and Laura Muir did what the supporting public wanted to see. From a relaxed and composed face on the shoulder of Klosterhalfen, the kick came with a look of determination and the German had no answer what so ever. 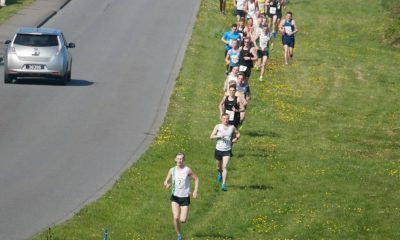 Cruising through the finish line in a championship record of 4:30.61 after a second 1500m of 4:05, it was a fine display of endurance running and pure speed to finish. It almost looked like Courtney had done too much in trying to hand onto the front pair, with tough work needed in the final kilometre by the Commonwealth Games medallist. German Alina Reh was chasing hard towards the end but Courtney held on well to earn a very well deserved bronze medal. 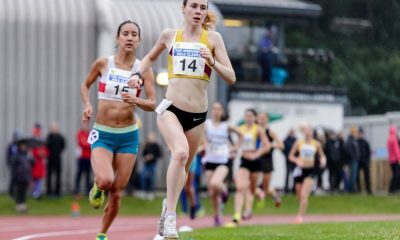 It was also a personal best for Courtney with a finishing time of 8:38.22 and a Welsh 3000m indoor record. Building on an excellent 2018 for the 25 year old it will be exciting to see what the rest of the year holds. For Muir, the next challenge is just around the corner with the 1500m Championship to defend on Sunday evening. The Scot qualified with a 4:09.29 just before the 3000m final and once again looks like the athlete to beat.